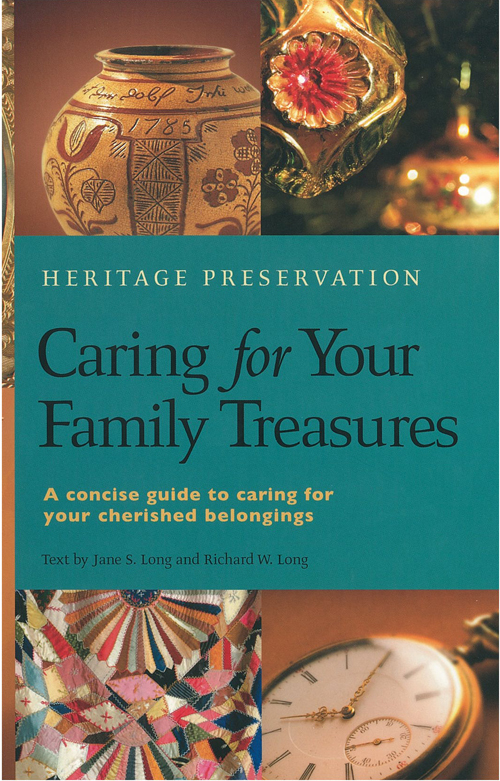 Authors Jane and Richard Long, working with a team of museum experts, provide practical advice and easy-to-use guidelines on how to polish silver and furniture without diminishing their value; how to preserve a wedding dress for future generations; to the safest materials and procedures for creating a scrapbook that will last; caring for a photograph album that is deteriorating; creating display conditions for ceramics, dolls, or other treasured collections, and much more. The authors discuss care and maintenance of objects for daily use as well as preservation of more fragile objects. Their text is complemented by many full-color illustrations as well as special information boxes and checklists for each category of treasure. The book also includes tips on locating genealogical information, archival supplies, and other resources, making it a valuable and handy reference for years to come.